We understand the fear, frustration and confusion in choosing a restoration partner. So, with over 40,000 completed projects, we can provide you with a list of referrals to help you come to appreciate and understand just how reliable and dependable we are when you need us most. Fast response is essential whenever there is water damage. Whether the source of the problem is plumbing or torrential rain, fast cleanup ensures that the amount of damage is mitigated. Water extraction and drying must be started and finished as quickly as possible, as the damage caused by water is more devastating the longer it stands. 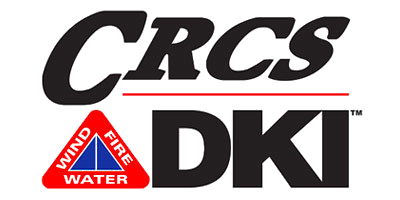 CRCS DKI can remove the water and get your property dried and secured quickly with our large inventory of equipment and our fully trained team of professionals. Success comes from having the right blend of ingredients in the proper proportions. CRCS DKI employs the most industry experts of any restoration firm in all of Southern Ontario. Our in-house staff includes IICRC-certified experts in all areas of damage and remediation, as well as a team of knowledgeable Project Managers and skilled trades technicians. This complete set of professionals is available with just one phone call to CRCS, your single source for all phases of the remediation and restoration process. As an independent network member of Disaster Kleenup International Canada (DKI), we have the support of the most experienced and best equipped contractors across Canada. We have provided restoration services to the Durham Region and surrounding areas since 1979. With the experience of many thousands of successful projects behind us, we are able to bring together the right set of trained professionals and state-of-the-art equipment to mitigate your damage, and undertake your repairs and restoration in a timely and professional manner. Whether you are facing fire, water, or other types of damage, we have the people and systems in place for a successful cleanup and restoration to get you back to where you were before disaster hit. Help is only a phone call away. Call 1-800-563-3477 now.